Even though there are no state routes near Mt. 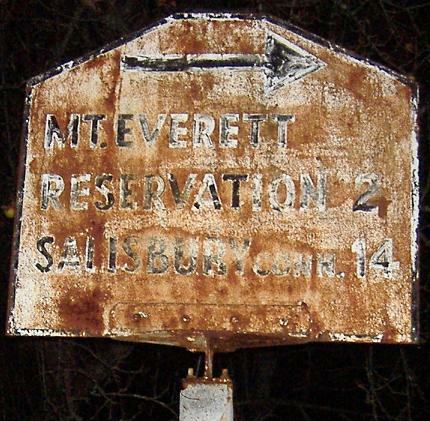 Washington, somehow there were state-erected Little White Signs, dating from the pre-World War II era. Their backgrounds were handpainted, and of course they had cut corners. 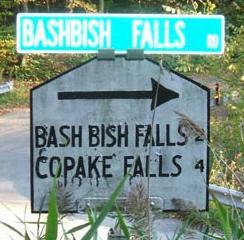 Fast-forward to 2005 and 2006, and as secluded as that part of the state is, two of those signs still stand! 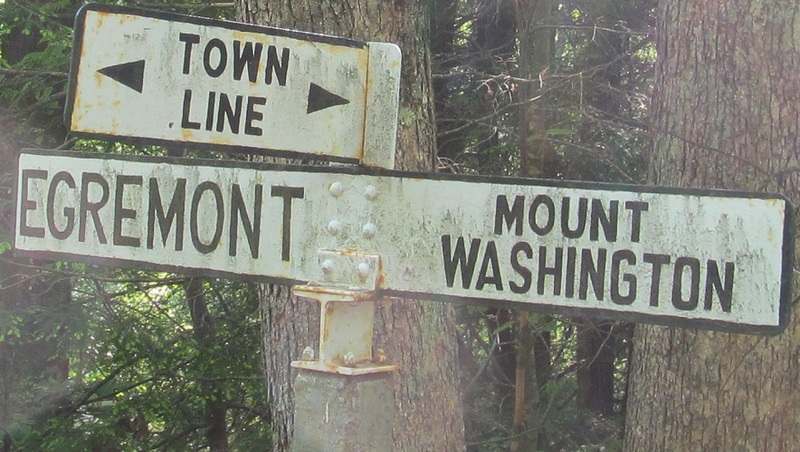 The other two have been replaced, but definitely not by the state - and one of the replaced signs is at the same intersection as one of the originals, to add to the mystery. 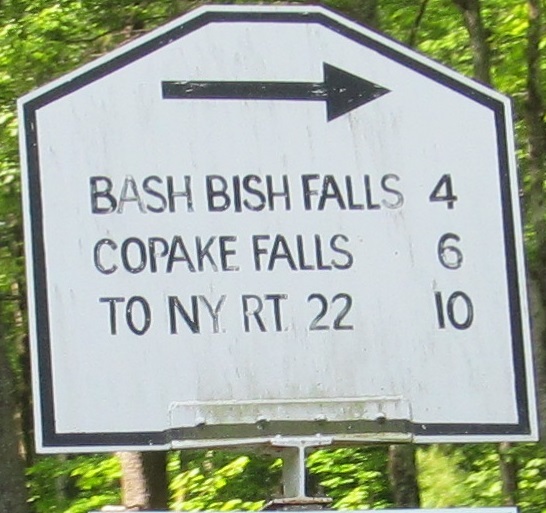 All of the so-far-discovered signs past the end of NY 344 are featured on this page. The first sign you come to, Falls Rd. 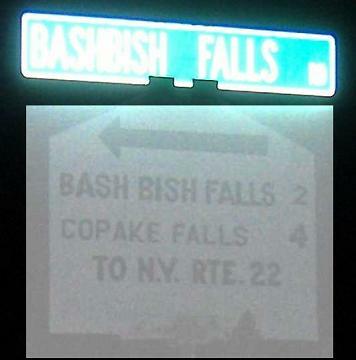 EB (the continuation of NY 344) at West St., by night and by day. 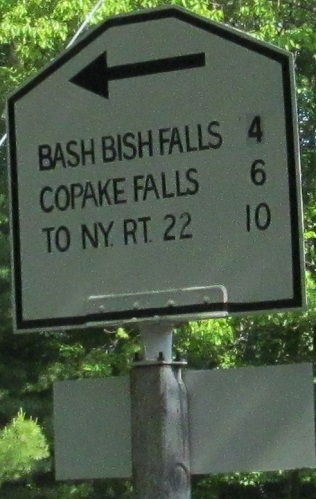 The second sign, same location at the first, West St. NB pointing down Falls Rd. WB. I tried to lighten it for you because the repaint doesn't reflect well at night. I'm dumb. 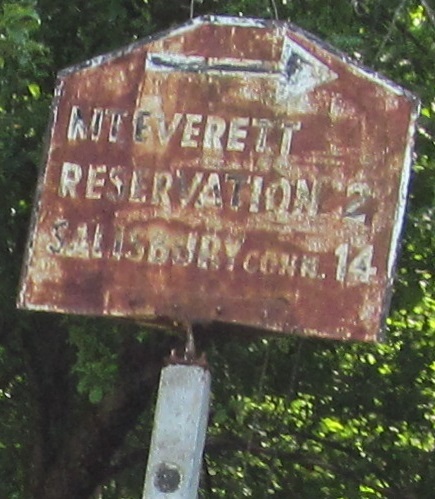 This is the other side of that previous sign, which I never bothered to check, but as you can see the last time it was repainted was before the mid-1970's, when Massachusetts adopted a standard font. In fact, it just may have been repainted by the Mass. DPW. Unfortunately, since Jake Warner took this photo, I don't have any idea what traces of letters are still there. Moving on to the next intersection, West St. NB and SB at Cross Road (the names aren't imaginative here). Click on the second photo for a more legible, earlier version, courtesy Dan Vincent. 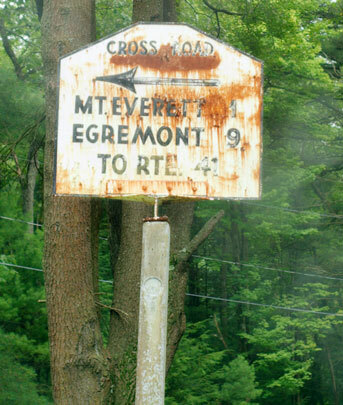 I don't know why Egremont and Route 41 are signed to the left, because there are no roads across Mt. Washington State Forest. 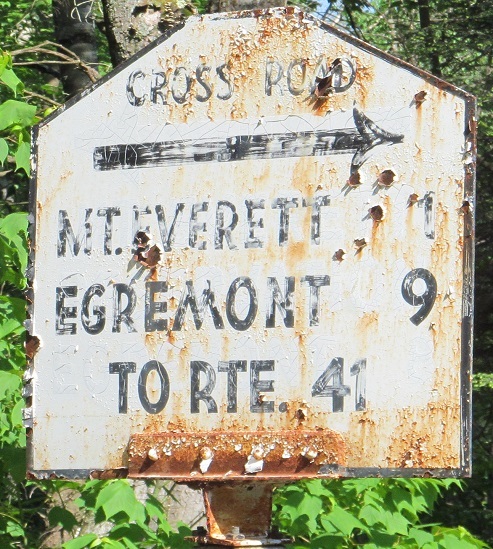 Possibly, back in the 1930's, there was a dirt trail open from the end of Plantain Pond Rd. 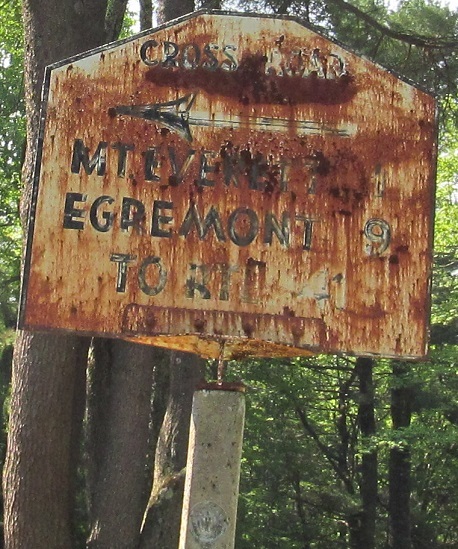 (the extension of Cross Rd.) eastward. It's also possible this is merely signing a U-turn via Cross Rd. 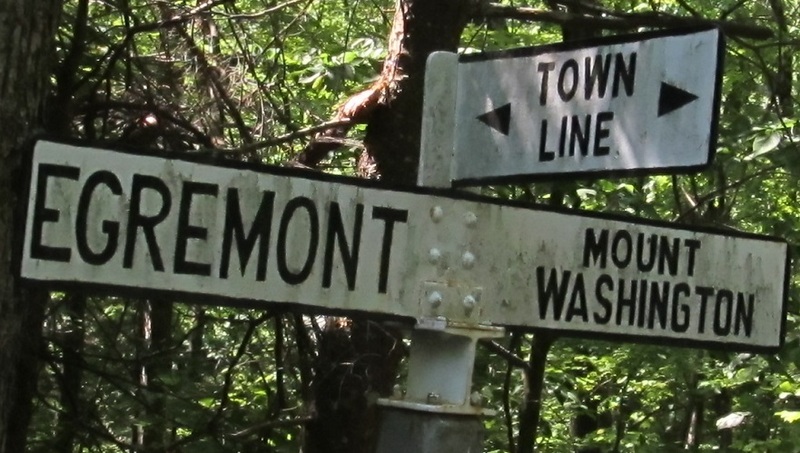 to NB East St., and then out to MA 41/MA 23 in Egremont. Mt. Washington Rd. NB and SB.